Provider of topographical survey consultancy service, measured building survey consultancy service etc. These surveys are carried out to determine the characteristics of the details found on the surface of the earth and based on these inputs topographic maps are prepared. These maps are used in the planning stages of projects to help to design the layout and locations of the buildings, roads etc. Measured Building Surveys provide accurate and detailed plans of a building’s layout and structure, which can then be used for design and refitting purposes. A typical survey would show all structural features including walls, windows, doors, beams, floor and ceiling heights. Onto this can then be added fixtures and fittings such as sanitary-ware, electric points, light switches and fittings, radiators and furniture. 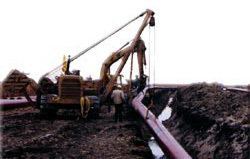 We carry out many types of survey work relating to pipeline projects, for example; initial topographical strip surveys for proposed pipeline routes, setting-out of pipeline routes, and as-built surveys as pipe is being laid in the ground. CBSSurveys offers a range of different services to the railway sector. Our railway projects have included topographical surveys, engineering surveys, 3D laser scanning tunnel surveys, monitoring works, permanent way surveys, precise levelling, and platform and structure gaging surveys. We undertake surveys within railway corridors and we are familiar with the high degree of safety management required. We undertake surveys within railway corridors and we are familiar with the high degree of safety management required. Laser scanning and reflectorless total stations have also enabled us to survey railway assets without access to the line. As a result CBS Surveys are one of the few combining 3 essential elements to providing quality survey support to the rail industry. The first is a thorough grounding in survey as our surveyors as employed full time, the second is an understanding of sector specific requirements and the third is a large group of PTS qualified staff, currently 80% of our field staff. The surveying teams at CBSSurvey are dedicated towards providing comprehensive and accurate Airport Surveys. We have surveyed numerous airports and airfields, both military and commercial including runways, taxi-ways, terminal buildings, navigation aids and obstacle surveys. CBS SURVEYs provide a full quarry and mineral survey service including assessment of mineral reserves, quarry planning, mineral royalty surveys for landowners and quarry operators, quarry update surveys, 3D modelling, stock surveys, laser scanning of quarry faces and the monitoring and quantification of overburden excavations. CBS Surveys comprehensive land development services to public and private clients including site development and site design for residential subdivisions, business parks, industrial parks, retail centers, shopping malls, planned unit developments, recreational facilities, and master planned communities.Services range from control for underwater concrete installations, offshore pipeline and cable installations using specialized survey systems such as GPS/RTK and underwater hydrostatic leveling techniques. Our survey teams provide highway surveys necessary for the location and construction of lines of transportation and communication such as pipelines, railroads, highways, open –conduit systems and power lines. Surveys for feasibility, detail design, urban and rural roads to motorways, autoroutes and bypasses to rural upgrades and maintenance - we are fully experienced in all aspects of road and highway survey. We provide the initial topographic surveys necessary for the conception of the new project and subsequently locate and mark centerlines, determine elevations along and across the centreline (profiling), staking out extremities for cut and fill, computation of earthwork volume, determine drainage areas for culverts and ditches, layout of structures such as bridges and culverts and location of right of way boundaries. We apply conventional and laser technology to the task of surveying for new sea defences and monitoring coastal erosin through beach surveys, cliff monitoring and slope stability surveys. Combining proven surveying practices, advance technologies and a proprietary database, Cbssurveys, provides customers with mapping for all of their inland and coastal needs. To find out more about our service and capabilities, contact us. 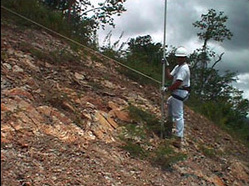 CBSSURVEYS is experienced in powerline survey work. Our operators are trained and qualified to provide superior levels of safety and service. We also provide lifting, transportation of personnel and equipment and wire stringing to lines companies. To find out more about our powerline surveying experience and capabilities,contact us. Surveying for all types of port and harbour, existing and new build, Pre and post dredging surveys, navigation channels, tide guages and current metering. We are experienced in the design and execution of a vast spectrum of survey applications and have developed appropriate technology configurations to meet specific project needs. A common area of dispute is precisely where the line of boundary lies between adjacent properties or land. There are many myths and misconceptions regarding the line of boundary between properties, and to avoid potential lengthy and expensive disputes it is best to get independent professional advice early. 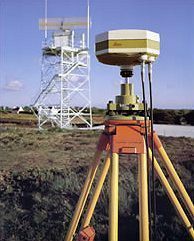 Boundary surveys are typically performed when a Property is changing ownership, to obtain building permits, to resolve property disputes, and for building fences. Easement lines can also be located with this type of survey. Our experienced Surveyors are experts in mapping, measurement and problem-solving. We are best placed to interpret any mapping evidence for your property boundary and to understand the limitations of such mapping. We can also produce the most accurate plans of your property boundary. Commercial or domestic, we can provide field survey to help resolve disputes over property bondaries, mineral rights, right to light and similar problems. Engineers need them to set limits for design of construction projects and local agencies require them for permitting. Many times it is also a requirement for a loan or refinance on a subject property. It is important to note that a surveyor producing a boundary survey is not determining ownership, but in fact is placing the boundary lines as called for in the deed on the ground and monumenting those lines for the owner and adjoiners benefit.